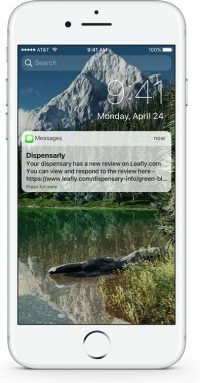 No more visiting a bunch of sites to ensure you’re aware of every online review that your dispensary receives. 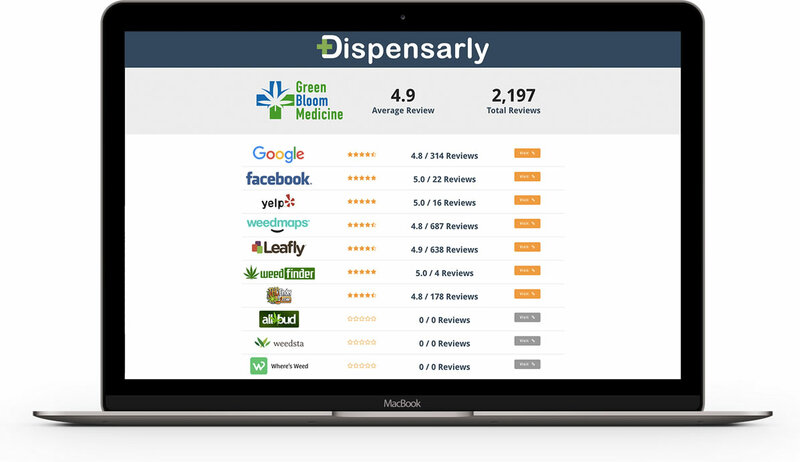 Dispensarly provides a dashboard for all your customer feedback from 9 sites in real-time. The websites we monitor include: Google, Facebook, Yelp, Weedmaps, Leafly, Weedfinder, THC Finder, All Bud, Weedsta and Where’s Weed. 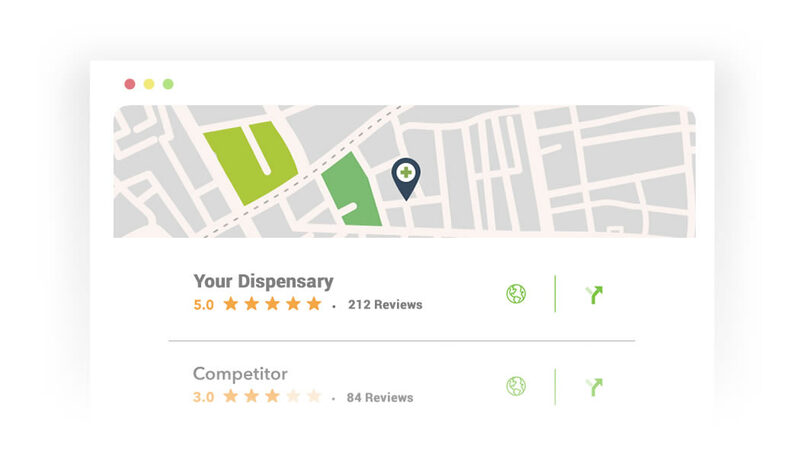 When customers submit feedback, we ask them how likely they are to recommend your dispensary to someone. We handle their feedback in two different ways based on their answer. If they answer a 9 or 10 we encourage and forward them to leave a public review for your dispensary on websites like Google, Weedmaps and Leafly. If they answer an 8 or less we keep their feedback for your records so you and your staff can use it improve your services. The result is that customers who are not satisfied have a way to share their experience before making it public and potentially damaging your business. Customers who are very satisfied are encouraged to share their review with others and help grow your business. You will improve your business while increasing your 5-star ratings. 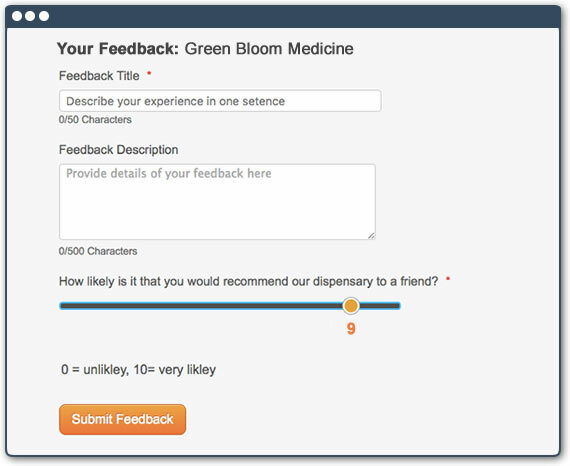 When customers submit feedback we ask them how likely they are to recommend your dispensary to someone. We handle their feedback in two different ways based on their answer. 95% of unhappy customers will return to your business if you can resolve their issue quickly and efficiently. When your dispensary receives a new review, we will notify you via email or text message. Within your alerts, you’ll have the option to respond to your online reviews. No more worrying about missing reviews or checking multiple sites a few times a day. We have your back! Local search engines like Google love online reviews for one primary reason, consumers love online reviews. These search engines also factor in the how many sites have reviews for your dispensary which means you shouldn’t just rely on Weedmaps and Leafly for your reviews. We make it easy for you to collect reviews from your customers and we route the good reviews to the listing sites that will help improve your search engine ranking. We know a lot of dispensaries do not have a website and rely on listing websites like Weedmaps and Leafly to reach their customers. We host your feedback form so you don’t need a website to use our service. You can send your customers to a link we provide and we will collect their reviews for you. If you do have a website, you can easily link to your feedback form from your website.